I skipped a day but I have an excuse. Hubbie and I have been on a kinda' vacation and have been visiting places. 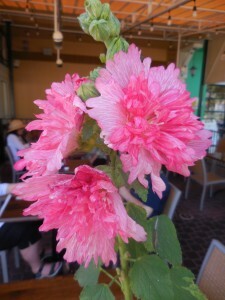 I saw these flowers in a little seaside town that we visited two days ago. I was surprised to see them in Florida. I always thought of them as a northern flower. Of course they are a little more fancy than the ones I'm used to (lacy) but the plant appears was the same except they were much shorter than the typical plant. What a lovely shade of pink! After a little research I discovered that the variety is called Fiesta Time and is a shorter plant with a double flower. It works better in smaller places than its much taller cousins. 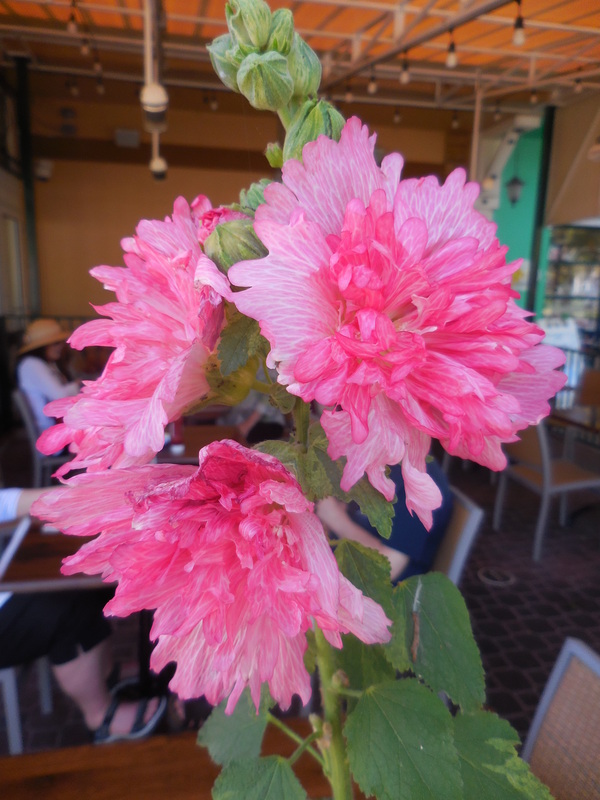 These were growing in flower boxes surrounding a patio restaurant. It comes in a whole bunch of colors. There were some yellow ones at the same location.